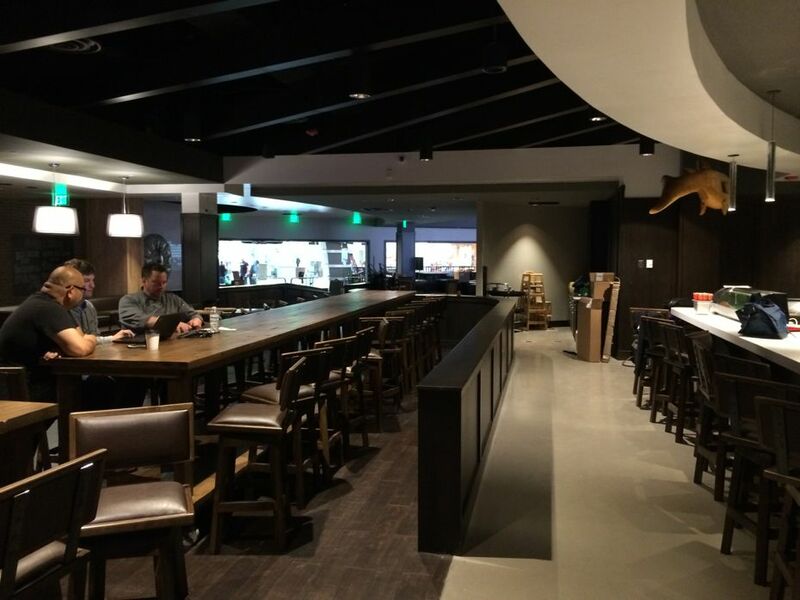 This the TBD restaurant area. The plan for those video screens is to show some sporting events from time to time, but they'll often be used to display digital art. 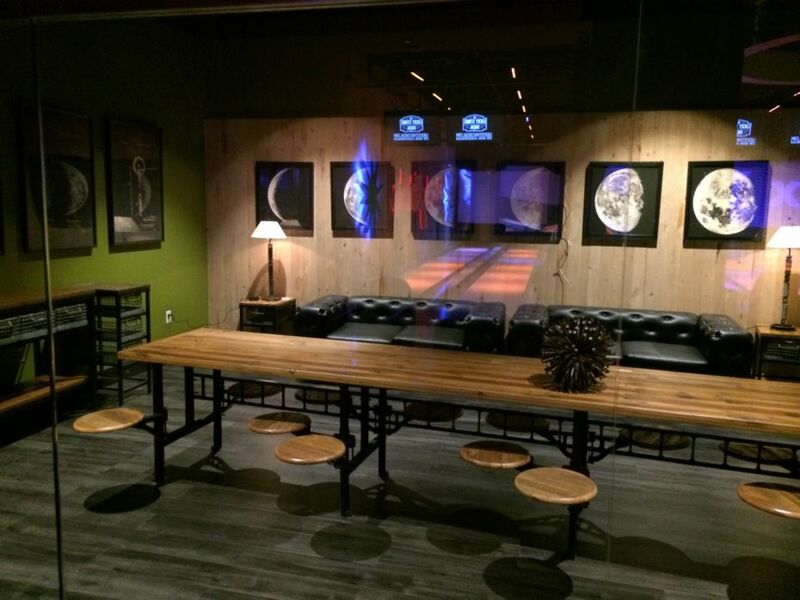 The company says it'd like to show local artists, so if you're interested email for details: art@bowlluckystrike.com. Looking TBD out toward the mall. Hallway that runs from the entrance. That long walkway leads to the front desk. 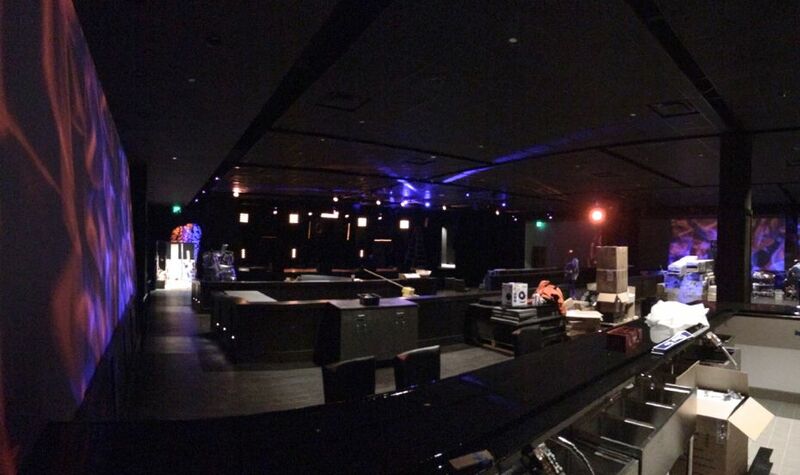 The bar at the middle of the space. Entrance for the concert space. On Thursday before the Friday opening it looked like there was still some work to be done here. 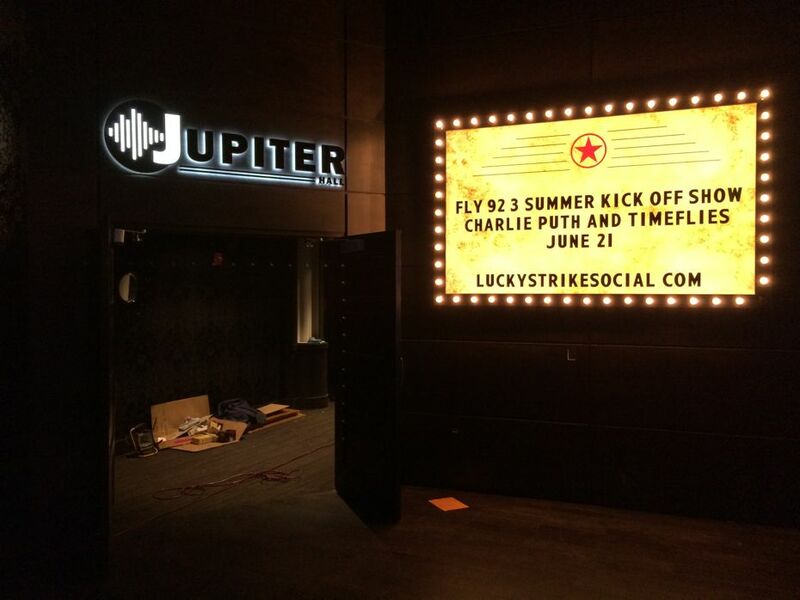 The first event is Charlie Puth on June 21. The bar from a different angle. 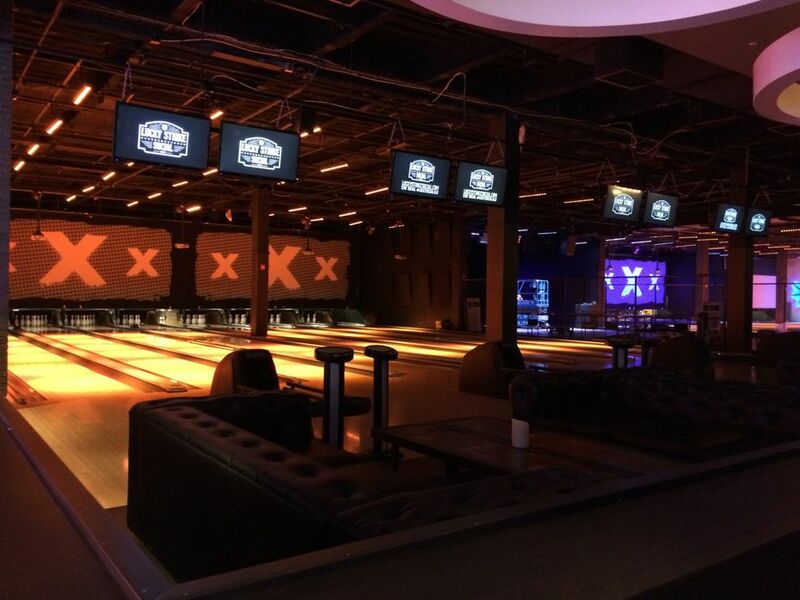 The bowling alley is at the far back of the space. The seating area includes couches and a row of bookshelves along the border. 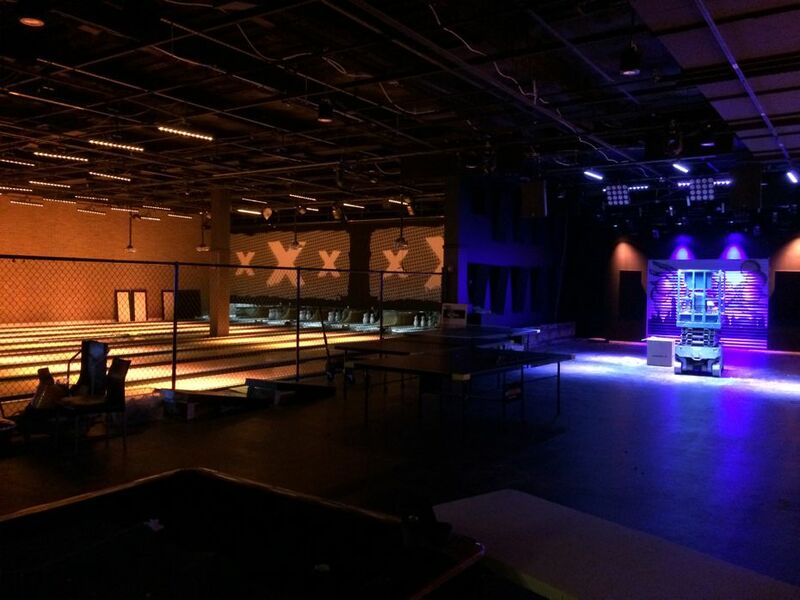 This is the space between the two sets of lanes that will have ping-pong tables, and can also be used as a small performance space for bands. That art on the back wall is by local artist Seth Sanger. 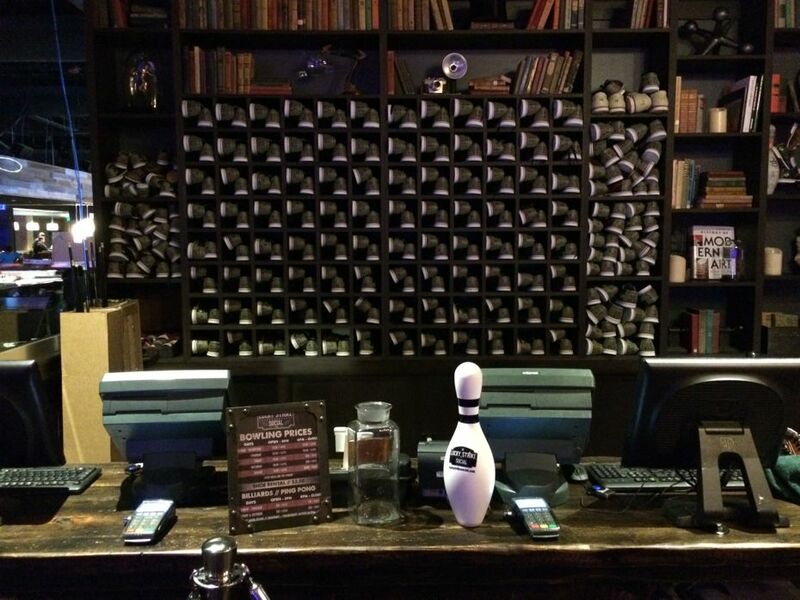 A room just off the bowling lanes that can be reserved for events. The new Lucky Strike Social opens to the public at Crossgates this Friday. 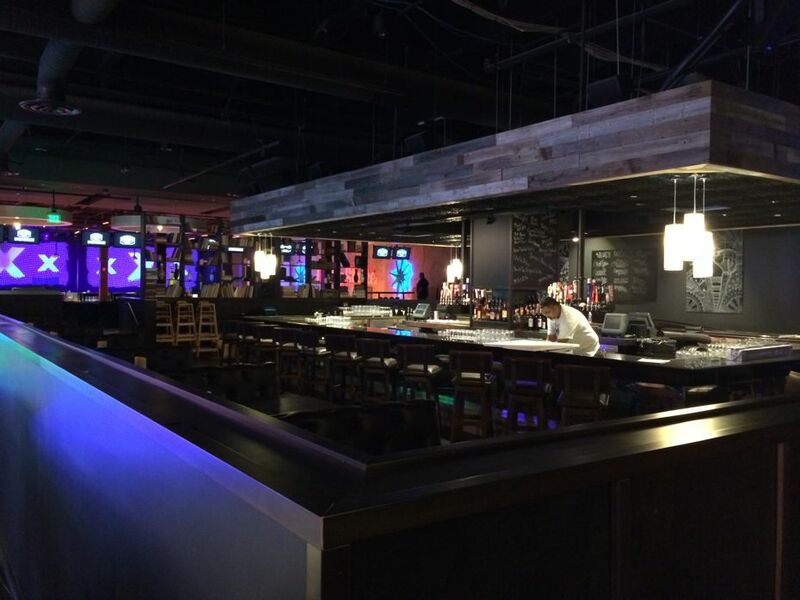 The latest entertainment venue at the mall includes two restaurants, a bar, a concert venue, an arcade, and a bowling alley. It's above in large format -- click or scroll all the way up. 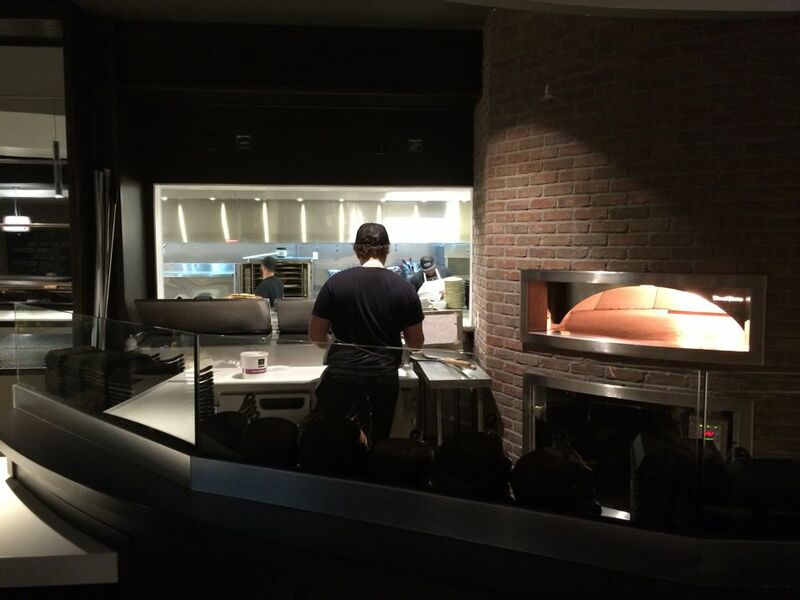 + TBD: A restaurant at the front of the space that's focused on quick-serve items like tacos, burgers, and hot dogs. It will also offer a list of 100 different canned beers and vintage sodas. Ordering is via a tablet. It can seat about 150 people. 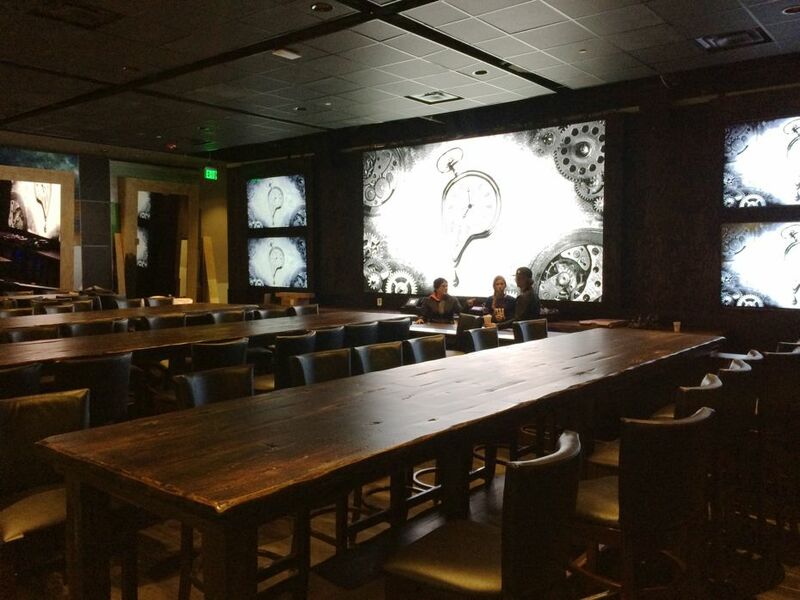 + Community: A restaurant in the middle of the space that has long tables and can seat about 100 people and has a gastropub-style menu. 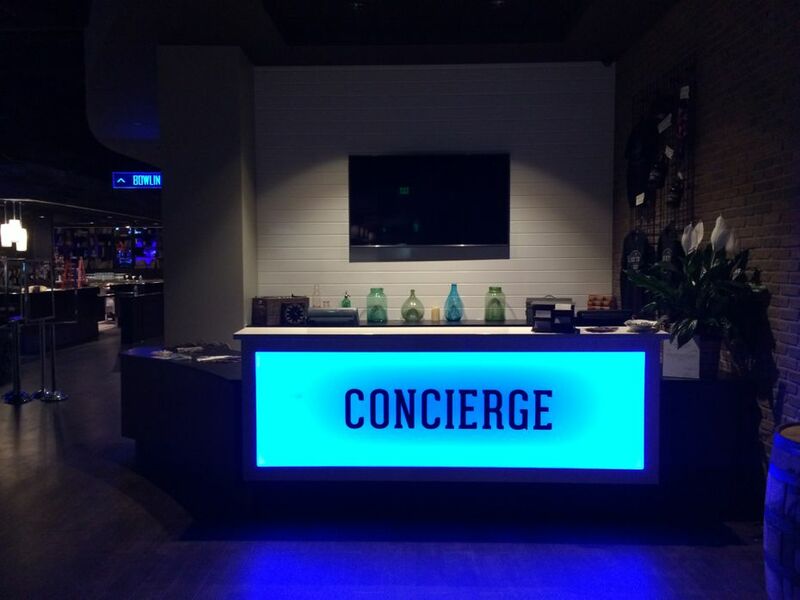 It takes both walk-ins and reservations. 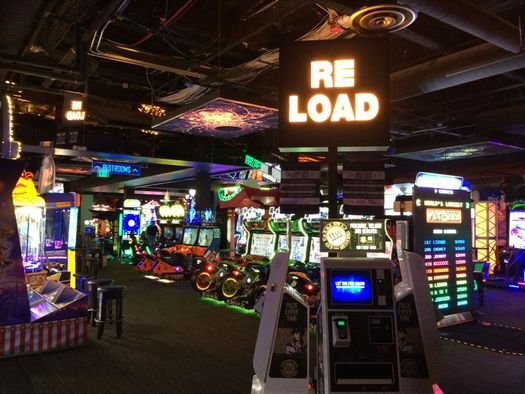 + Arcade: It's an arcade with 100 games. + Bar: Like it says on the label. It's located in the middle of all the other spaces. + Jupiter Hall: A concert space that can hold 900 people. 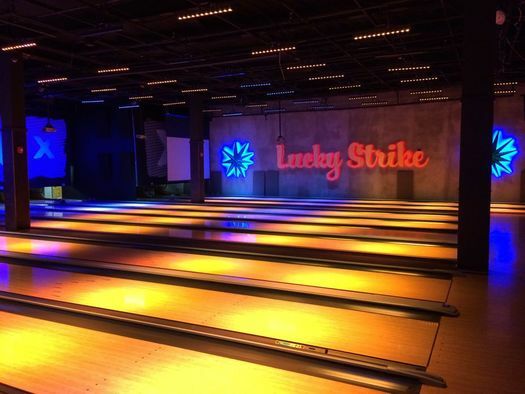 Lucky Strike is hoping to host all sorts of events there: concerts (obviously), dance nights, corporate events, even church gatherings. 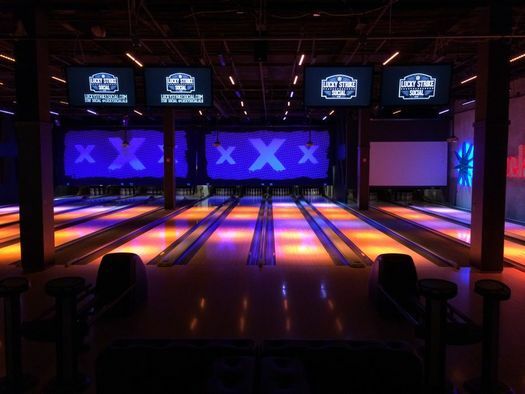 "Ideally we'll program the room seven days a week," said Justin Rosenberg, Lucky Strike's regional director of operations, during a recent walkthrough. 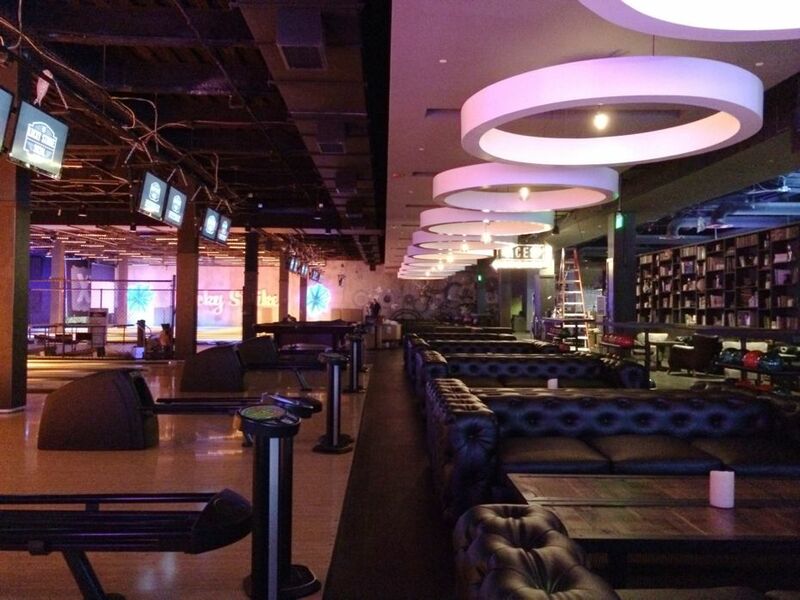 + Bowling alley: 18 bowling lanes, with "rec room" space in the middle that will have ping pong tables and can host bands. 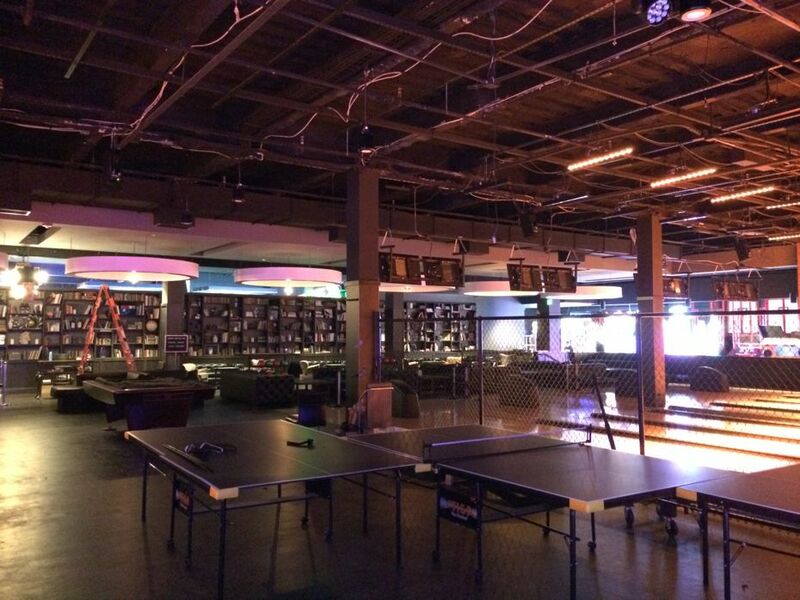 Groups of lanes (with ping pong tables) can also sectioned off for events. This is Lucky Strike Social's 15th location. And Rosenberg said it's the first time the company has put all these elements in one location. 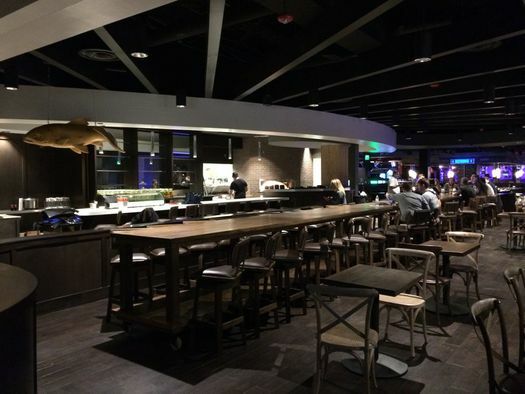 The idea is to appeal to range of age groups throughout the day -- maybe families earlier in the day, then the afterwork crowd, and then adults out for the night -- and provide them with options while they're there. "You've got no reason to leave," said Rosenberg. Wasn't there some other bowling alley thing going in here? Yep. 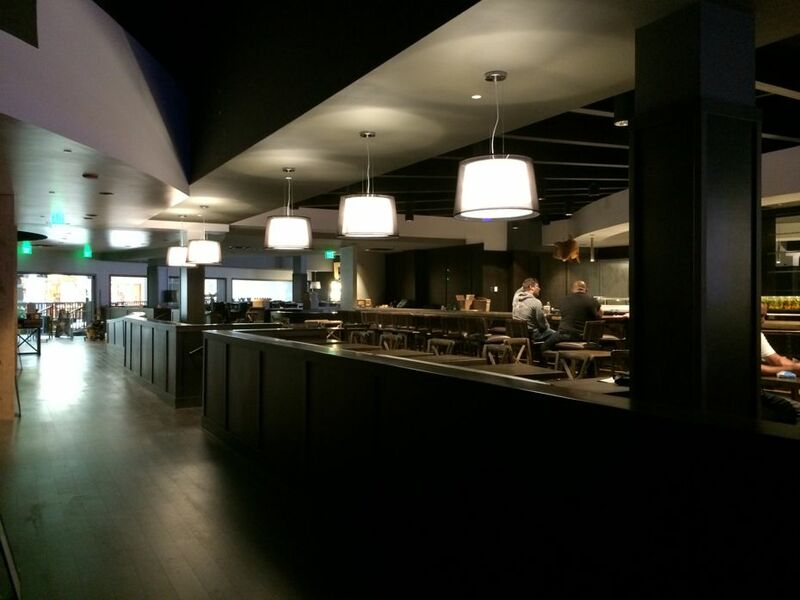 The place you're thinking of is Latitude 360. It had been in the works for this space for a while until finally fizzling out last summer. 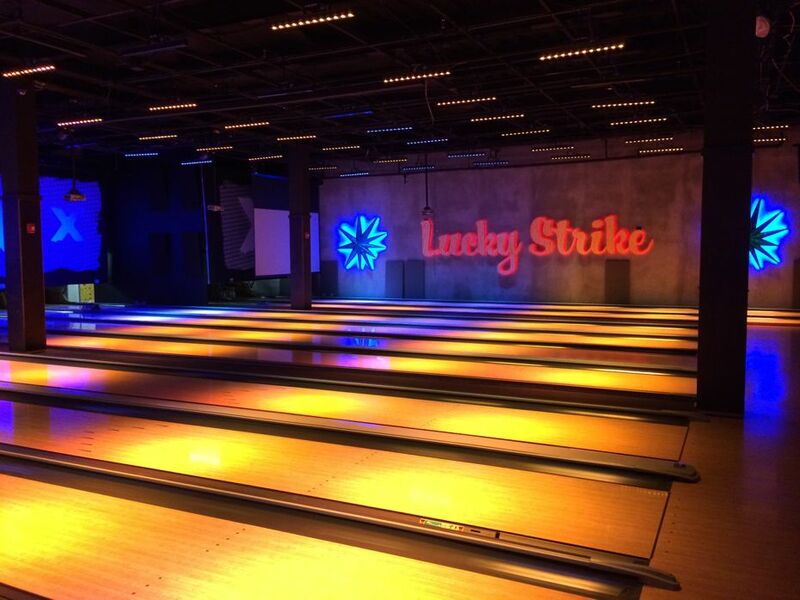 Rosenberg said that Lucky Strike has worked with Pyramid, which owns Crossgates, on other projects. 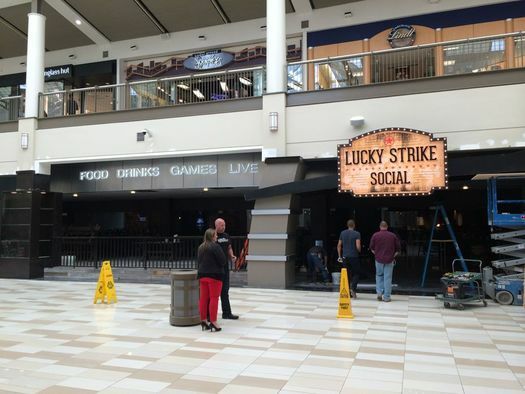 And the mall owner approached Lucky Strike after Latitude fell through. So they looked at the space and decided it could work. Rosenberg said they kept the bones of the space, but pretty much everything else that had been built to that point was taken out and/or rebuilt. Isn't this kind of like another place already at the mall? Yeah, it is a bit like Dave & Buster's, which is just down the main corridor of Crossgates. 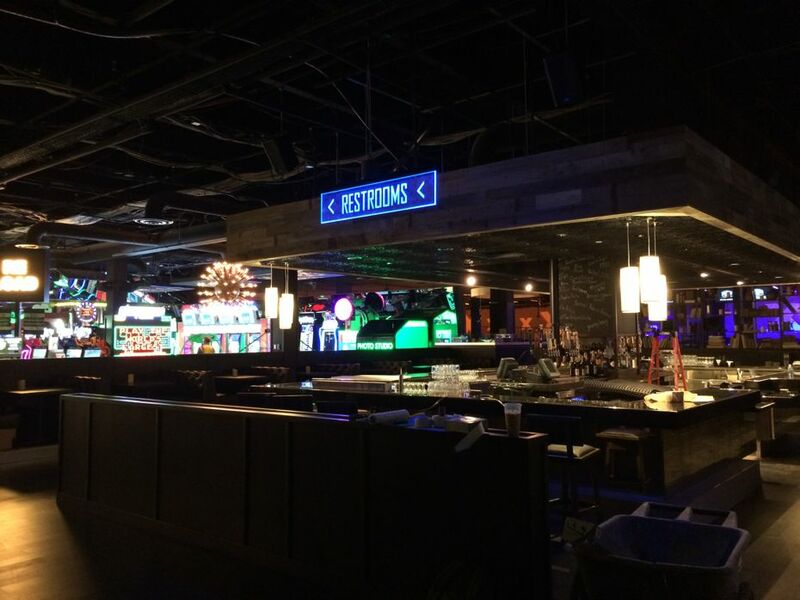 And while the concept is roughly similar, Rosenberg said Lucky Strike intends to differentiate itself via food and drink -- as well an overall feel -- that's more sophisticated and adult leaning. "There's no way anyone would say 'What's the difference?' after visiting both." Crossgates has recently been evolving into more of an entertainment destination. There was the movie theater, of course. Then Dave & Buster's. Then the Funny Bone comedy club opened. Now Lucky Strike. 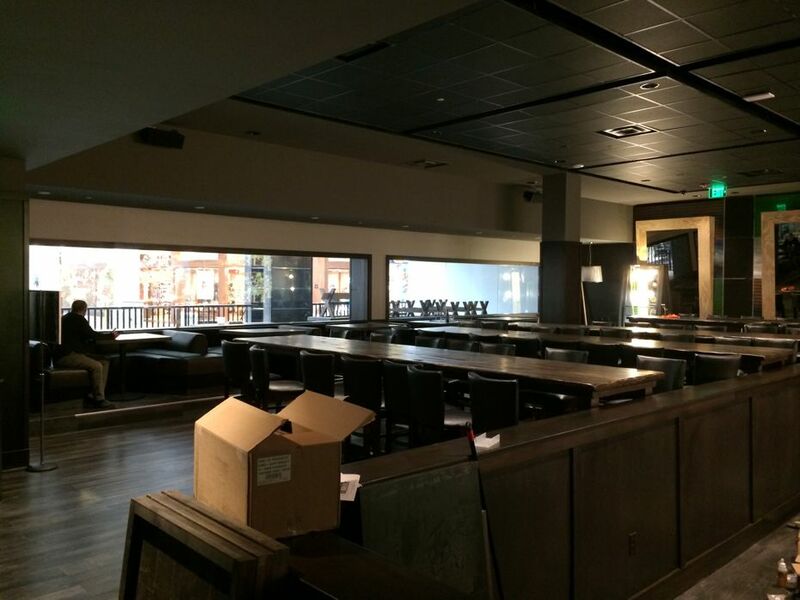 And the restaurant/concert venue Rascals is aiming to open in the near future. Jennifer Smith, the marketing director for Crossgates, says the mall has been moving in this director in order to provide options to different crowds (even if those crowds are all within in the same family). And they draw foot traffic, which is good for a mall. "These guys all play well off each other," she said of the entertainment venues this week while standing outside Lucky Strike. Rosenberg seemed to buy into that idea, too -- that the other venues don't represent competition so much as critical mass. "I don't know if I'd want to be in a place that didn't have these [other] places." Wow, can't wait. Unfortunately those look like 1/2" tops on the ping pong tables. Please tell me I'm wrong and they're 3/4". I went to the VIP event held last night, Thursday, and it was awesome! The food and menu are spectacular, the atmosphere was intimate while also fun and exciting, and the service was superb. They should be commended for what they have done with this space and the opportunities that have been created for our community. I cannot wait to go back with friends and family and will definitely be spreading the word about how amazing this place is! Yes, it was great fun last night. Want to see their whole menu? There goes more parking spaces & added mall noise. Lucky Strike? Really? I can't believe the Crossgates management permitted such a thing. If it is affiliated with the cigarette brand, it has no place in a shopping mall, around children. If it is not affiliated with the cigarette brand, how long can it possibly be before cease and desist letters begin arriving? Either way, what a mess. The phrase "lucky strike" predates the cigarette brand. It originally referred to miners having the "luck" to "strike" gold out west in the mid-1800s. And, of course, it's also been using in bowling for ages, too, as well as in the Vietnam War. I'm strongly anti-smoking), but I'm not at all offended by the name in a mall or its association with cigarettes. It's only one aspect of the phrase. Apologies if I missed it, but what does it cost to bowl a game? On par with other bowling alleys? The cigarette brand certainly has a trademark on their own name. Because the businesses are so different there's probably not much of a good infringement case, but trademark holders are somewhat obligated to file in all instances or the power of future claims is diluted. This isn't their first location, so I would guess that the issue has either already been resolved or is in the process. Jpea, the Crossgates location isn't on their website yet, but the other locations seem to run $23/hour for a lane and up (I didn't check them all). There's also a $20 food/beverage minimum on Friday and Saturday nights.